We're not big TV watchers, though admittedly, we've watched a lot more television since we moved to Colorado. I guess it's because our digital antenna picks up a lot more stations in Metro Denver than it did in rural North Carolina. But we have never paid for television service. No cable, no satellite tv, no Food Network, ESPN, History Channel, Cartoon Network, Boomerang or Nickelodeon. There never seemed to be a need. I want my family to watch LESS television, not MORE. Though I never miss a chance to watch HGTV when we're on vacation somewhere with cable tv. We mainly stick to movies. Right before Mr. LH and I started working with our bare bones budget, we started using Redbox (love it!). However, our new ultra-scrawny-no-room-for-anything budget left...well...no room for anything. Not even a $1 a night movie rental (which, I noticed, has gone up a smidgen). So, we started using our free movie resources exclusively. FREE always fits into the budget! I don't know WHAT kept us from doing this more often before. We have re-discovered the movie section at the library. There seems to be a much better selection during the week than on weekends. I kept thinking the library had some pretty slim pickings in their DVD collection until I learned we could go online to the library website, log in using our library cards and place a hold on certain titles to pick up once they were available. It gave us a much larger selection to choose from (I also took full advantage of this when it came to reserving certain book titles). Sometimes there is a waiting list for new releases and popular movies and we have to wait longer for them. The library would send us an email when our movie was ready for pick-up and we had 5 days in which to get it before it was offered to the next person on the waiting list. I am impatiently awaiting our turn for a library copy of Saving Mr. Banks. There are 33 people in front of me. Since movies can be checked out for 7 days, we try to go to the library about once a week. If I know something is especially popular, I try to be courteous and get it back to the library earlier so the next person in line can watch it sooner. Mr. LH also started borrowing movies from his school's library and since he was gifted a blu-ray player for his birthday a couple years ago, he could select newer titles as well since the film school started acquiring only Blu-ray versions. 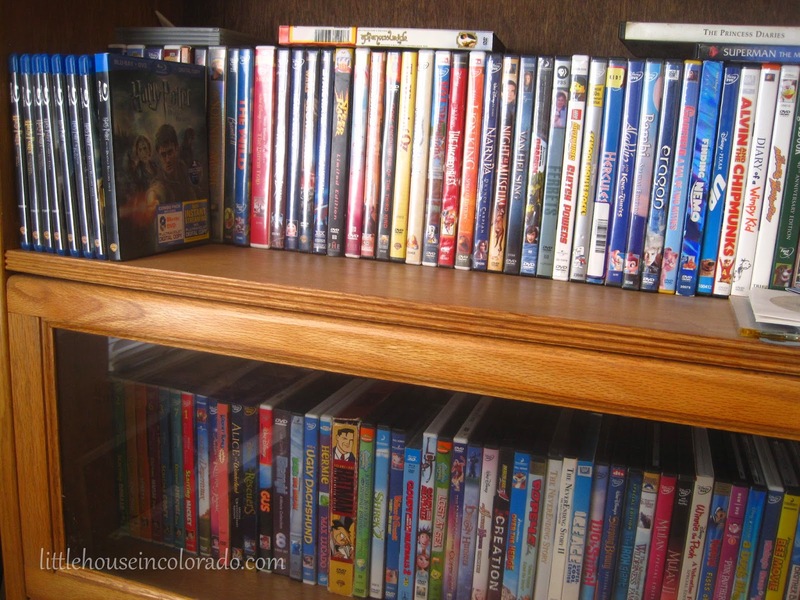 We have quite an extensive movie library at home - two-thirds being G or PG - as well as a surprisingly large collection of a few older television show seasons: MASH, Little House on the Prairie, Hogan's Heroes, Columbo, Macgyver and even Ultraman. These always come in handy when we can't seem to find anything else to watch. And never underestimate the entertainment value in public television. I'm talking about PBS...and Create TV. Countless shows about cooking, home improvement, crafts and sewing. The "Pickles" developed a liking for the Antiques Roadshow and several cooking shows. Trade movies with friends and neighbors (and remember to return them, too!). Throughout the summer, we have at least 5 new library movies a week to watch which really helps keep the early morning and late night "boredom" away for the "Pickles". Of course, if you've budgeted for it, there is absolutely nothing wrong with using Redbox. I was very tempted a time or two to get Saving Mr. Banks from Redbox instead of waiting for the library copy. We tend to use Redbox now only as a trade or an incentive for the "Pickles". "Trade in 100 pieces of Halloween candy for one Redbox movie rental"...that sort of thing. Although I haven't tried it, I found a place that offers codes for free overnight Redbox rentals. Because we are still paying off debt, we chose to not set up an "entertainment fund" as part of our budget. We have set up a "gift fund" that we contribute to monthly to cover birthdays and Christmas. 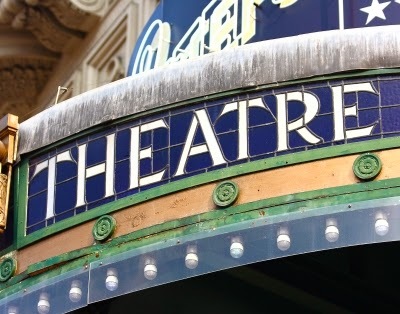 If someone wants dinner out or a trip to the movie theater for their birthday, it comes out of the "gift fund" but we still make it a matinee show and limit purchases from the concession stand to popcorn and water (take a drink mix or flavor drops with you in your purse if you have to have something other than water).